Incase you haven’t noticed by now, we’re big into mediterranean dishes and flavors here. I seem to always have the ingredients on hand, which makes it easy for me to come up with different ways to use them. I’ve made something similar to this many times, most recently when we had greek pork tenderloin (you can even see it on the plate with the pork in that post). I could eat sides like this every day. So easy, so fresh, so delicious. You could even throw the pork directly into it…or shrimp, chicken, salmon…you get the idea. 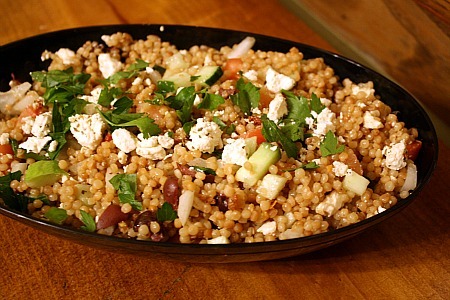 And if you haven’t tried Israeli couscous before, now’s your chance! I buy it at Trader Joe’s. Love it. Not too many exact measurements here, as you can see…just taste as you go along. Combine all ingredients in a bowl and mix. Refrigerate and serve cold later, or serve immediately warm. 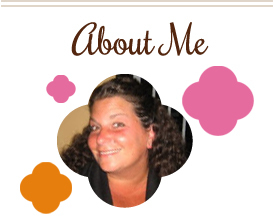 This entry was posted in feta, QuickAndEasy, salad, side dishes, tomatoes. Bookmark the permalink. Yay! So glad you finally posted this. I can’t wait to make it. Yum. Cous cous is one of my favorites! And I can never say no to kalamata olives either!